This daylong hands-on workshop will cover the philosophies behind visual effects, how to plan for them in preproduction, stage them in production, and execute them in postproduction. Using USM’s Communication & Media Studies Production Center, and guided by VFX artist Cory Anderson, students will gain experience in the studio and using Adobe After Effects and some third-party tools that help VFX artists achieve their intended effect. REGISTER: Today through Eventbrite! This workshop is limited to 16 participants, and there are still some spots left! Join the Maine Film Association and the Maine Theater Collective for happy hour at Oxbow in Portland! These two creative communities are coming together for networking, cross-pollination, and to explore ways that our organizations and members can collaborate to benefit both industries. Bring your business cards and enter to win a free year-long MFA membership or a pair of tickets to “Skeleton Crew,” which will be playing at Portland Stage! Join the Maine Film Association and Portland Media Center at the next MFA Maine Filmmaker Showcase: a screening of the award-winning film The Kids We Lose, followed by a talk and Q&A with the filmmakers Lisa Wolfinger, Mika Holliday Lentz, and Christine Lyons. Join the Maine Film Association and Maine Outdoor Brands for happy hour at Flight Deck in Brunswick! Connect with marketing and media professionals, and enjoy a cold brew! Free to all and all are welcome! The MFA has a full slate of educational offerings and social events planned (or in the works) for 2019! Check out the growing calendar at mainefilm.org/events. The Maine Film Association’s New Status! Last May the MFA Membership voted to approve Restated Articles of Incorporation for the organization to adopt a charitable and educational purpose. This new purpose reflects the directives derived from our 2017 strategic planning process to provide more educational and professional development opportunities for the Maine film community and industry. The Board of Directors learned on March 5 that the MFA is now fully tax-exempt as a 501(c)3 nonprofit organization. Membership dues and donations to the MFA are now tax deductible. And, the MFA will soon be able to offer fiscal sponsorship to filmmakers– stay tuned! Maine Film Association Supporting Business Member Infusion Studios, located in downtown Portland, is the brainchild of computer graphics artists Samuel Conlogue and Russell Sprague. They’ve been creating CG imagery and VFX for a range of clients since 2002, and joined the MFA in January 2019. We recently caught up with Infusion Studios’ 3D Artist / Visualization Director Samuel Conlogue to learn more about their work– check out this month’s Member Spotlight on Infusion Studios! Job Opportunities in Maine: Editors in the Midcoast! The Speaking Place in Rockland seeks a full-time assistant editor for 1-2 months, starting in early May, to work on shorter documentary edits and the organization of a large archive. Qualified applicants should know Adobe Premiere and be adept at media file management. To apply, please send a resume/cv with links to previous projects in which you were the only editor to ben@speakingplace.org. For more information, visit The Speaking Place’s Facebook Page. Storm Warriors International seeks a full-time editor to join their team in Camden. This is a great opportunity for a passionate, high-energy, people-person who: can coordinate postproduction services for multiple nonprofit clients involved with meaningful work; perform primary editing from rough to fine with Adobe Premiere and the entire suite; doesn’t want to live in NYC or L.A. but always dreamed about living along the coast of Maine; is socially conscious; a great team player; enjoys collaboration; can also supervise a modest production schedule if you had to! For more information and to apply, check out their full listing here. Adapted from Anna Segher’s 1944 novel, Transit is a present-day story about the plight of displaced people. Catch a screening of this acclaimed international film, now showing at Frontier in Brunswick. Learn more and get tickets at explorefrontier.com. Railroad Square Cinema and Colby College Cinema Studies present Charles Burnett’s Killer of Sheep on Tuesday, April 2. Named one of the National Society of Film Critics’ 100 Essential Films, catch one of the most famous and acclaimed films by an African-American filmmaker. Learn more here. Apohadion Theater brings Babylon, the 1980 Franco Rosso film that follows a young dancehall DJ in South London, to its screen on April 3. Deemed “too controversial” for the 1980 New York Film Festival, don’t miss your chance to see this acclaimed film. Details here. Frontier provides us with multiple opportunities this month to catch Cio Guerra and Cristina Gallego’s film Birds of Passage. Birds of Passage continues and expands upon Guerra’s previous projects Embrace of the Serpent and Godfather, portraying the troubled and violent environment in late 20th century Colombia, and the blend of tribal life and drug trade. More info and tickets here. Kinonik and SPACE Gallery are teaming up again to bring a classic to Maine audiences as part of their KinoNoir offerings. Catch the Oscar-winning 1950 Sunset Boulevard on Monday, April 8. Details and tickets at space538.org. 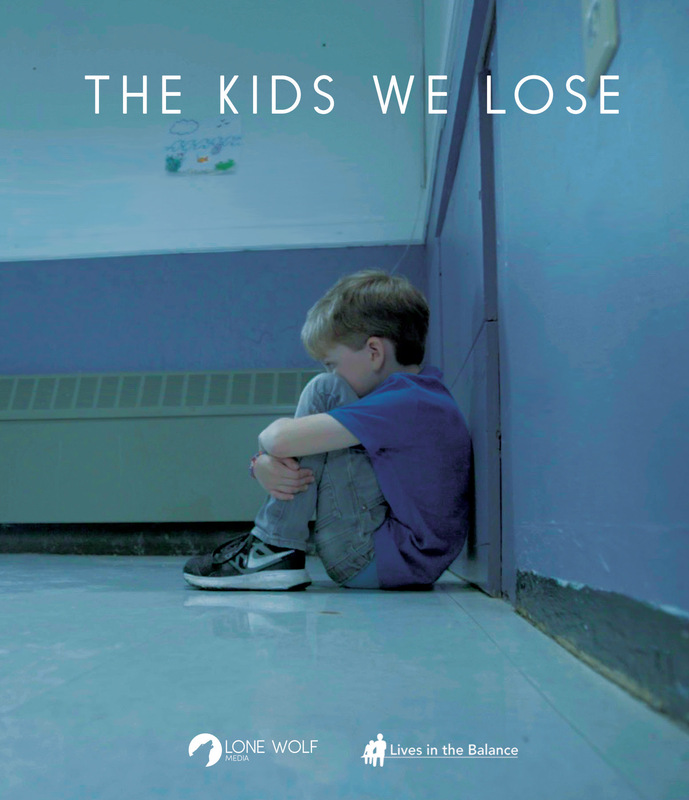 Join the Maine Film Association and Portland Media Center for another Maine Filmmaker Showcase on Friday, April 12: a screening of Lisa Wolfinger, Mika Holliday Lentz, and Christine Lyons’ The Kids We Lose, followed by a Q&A with the filmmakers. Details here. Maine Elements of Film’s inaugural presentation of THAW, a collection of comedic short films that will erase the traces of our northern New England wintertime blues will be on Friday, April 19, at Apohadion Theater in Portland. Learn more at theapohadiontheater.com! This month, CIFF Selects brings a “cinematic meditation on humanity’s massive engineering of the planet” to the Camden Opera House. ANTHROPOCENE: The Human Epoch is a feature-length documentary that follows the research of an international body of scientists examining human impacts and changes to Earth. Learn more here. Attention outdoor film fans: Georges River Trout Unlimited will host the 2019 International Fly Fishing Film Festival at The Strand on April 25. More info here. April 12: 2019 Portland Youth Film Festival submission deadline (films made by K-12 students). Trevor Brooks, Terry Kungel, Alban Maino, and James Nelon.